The RIM Industry's New Standard. With technology rapidly advancing, the expectations of record center clients are higher than ever. The all new Total Recall Client Web Software represents the next generation of RIM technology. Thoughtfully redesigned, the new client web portal offers a significant move forward for the most widely used client portal in the industry. The entire online access experience is enhanced to provide customers a highly intuitive interface and many industry-first features. 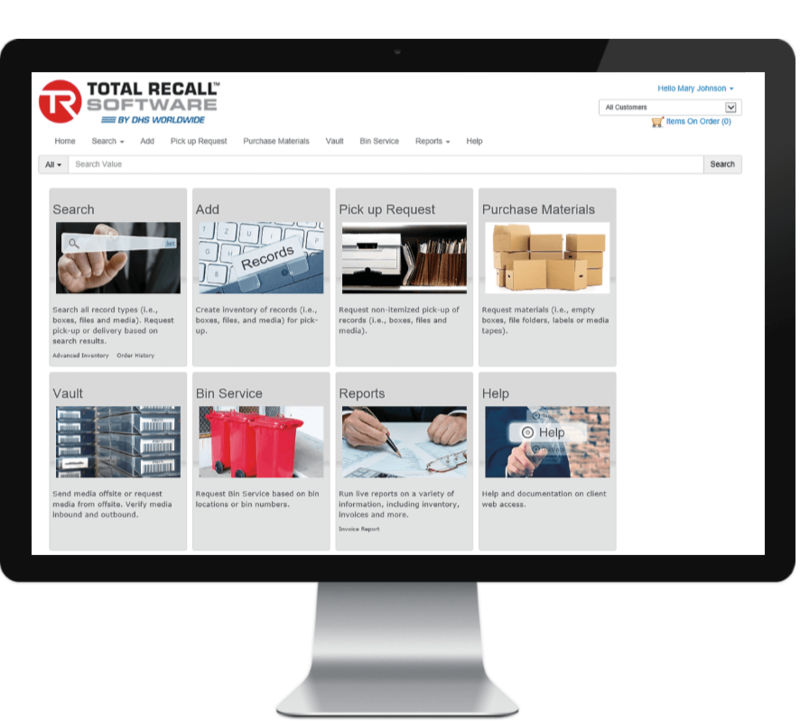 The all new Total Recall Client Web Software offers powerful search capabilities, including the ability to search across all record types (i.e. boxes, files, documents) and all reference fields in one search. The client web portal is also redesigned to make the end user experience more refined when accessed from mobile devices. The interface automatically resizes based on the device’s screen size. All service requests can be made directly from a customer’s mobile device. All images can be replaced with company specific images, providing customers with a tailored experience. The color, styles and look of the interface can be easily customized by simply choosing a web portal theme. 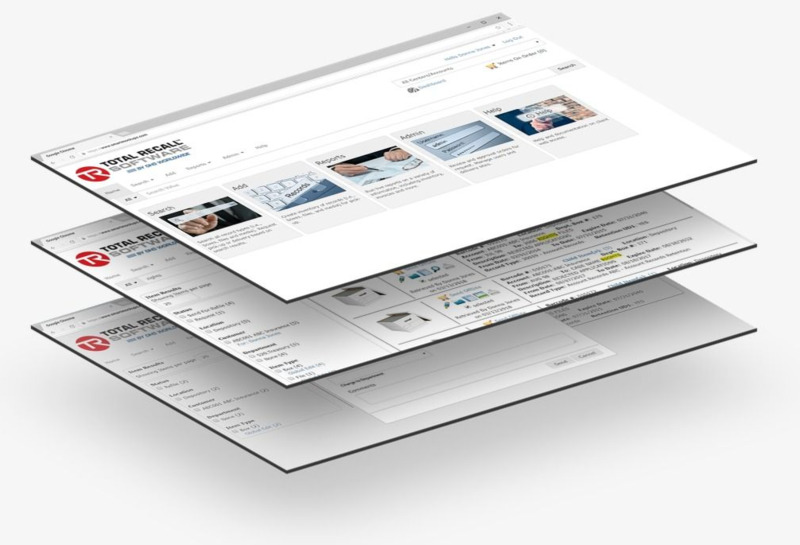 With an increasing regulatory environment, the all new Total Recall Client Web portal assists organizations in the governance of their overall records program— regardless of where the records reside (onsite or offsite).